Dell’s only Chromebook is at least temporarily unavailable for online purchase through the company’s website, only seven months after the model started shipping. Facing rising commercial demand for the devices, Dell has not been able to keep up with orders. The Chromebook 11, which shipped in December, is listed as unavailable on Dell’s Chromebook website, and the company is asking potential buyers to call in orders. “Due to strong demand, the Dell Chromebook 11 is currently not available for order on Dell.com. 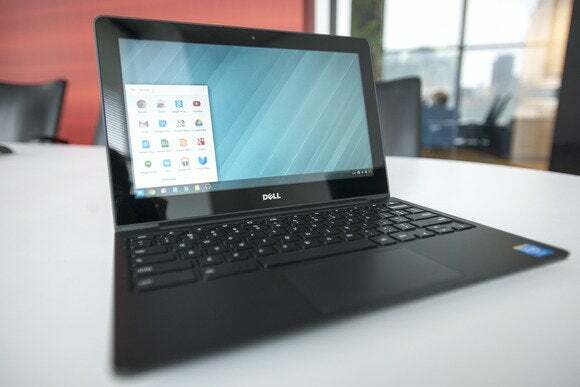 It continues to be available for our education customers and can be ordered through their sales representative,” said Ellen Murphy, a Dell spokeswoman, in an email. The laptop will eventually come online again, though the company did not provide a specific date. With Dell keeping Chromebook purchases open mainly to commercial customers, individual buyers may have to turn to competitive products from Samsung, Toshiba, Lenovo and Hewlett-Packard, which are available online starting at under $200. The Chromebook is a lightweight, low-cost computer for those who do most of their computing online. 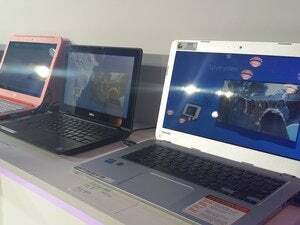 It has Google’s Chrome OS, and most applications needs wireless connectivity. However, more offline applications are becoming available. Dell’s decision comes as Chromebook shipments rise and competitors launch new models. Chromebooks accounted for 35 percent of all U.S. commercial laptop shipments to date in 2014, jumping more than 250 percent compared to the same period last year. Chromebooks accounted for 5 percent to 6 percent of overall consumer laptop sales in the period, and that number will continue to rise, said Stephen Baker, vice president of industry analysis at NPD. More than 20 Chromebook models are expected to be available by the end of the year. Acer last week shipped two C720 Chromebook models with Intel’s Core i3 chips. Dell spokeswoman Murphy said the company is committed to Chromebooks and will launch a new model with the Core i3 processor later this year. Dell could be choosing commercial customers over individual shipments with Chromebook demand rising during the back-to-school season, Baker said. “In a period when the product grows, you have to make some decisions,” Baker said.